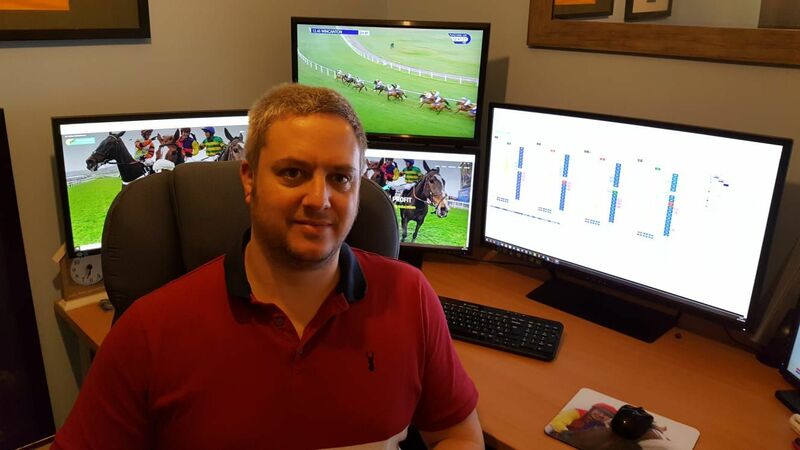 At Hunting for Profit we pride ourselves on providing the most up to date in running horse racing trading education using our systematic approach to the current market. I first started using the betting exchanges in 2007 matched betting and having the occasional bet. After a few years I started to pay a real interest in the in play horse racing markets and so the journey began. I looked at historic in play stats, ratings, pace angles and studied thousands of markets but found that there was much more to this to make consistent profit. I am still studying the markets to this day to keep up to date with the current markets. After a lot of heart ache and a really tough journey I managed over time to read the market and devise a solid plan to take the profit in play. I got serious with this in 2015 when I decided to go full time and in 2017 encouraged by others I set this service up to help fellow in running traders become successful. I was not overly keen on the idea at first but after some research it was clear there was no service out there that offered what I do. When I say my journey has been tough I mean it has been really hard, trying to figure out how a market works whilst losing money but remaining positive and hopeful that I was onto something that would become financially fruitful in the future was tough at times. I can now pass on my knowledge and systematic approach to others so hopefully their journey will not be anywhere as hard as mine has been. I established Hunting for Profit on the 1st of July 2017. I am incredibly proud to say we have several profitable traders in our community from my advice, guidance and for some it has been life changing. The first year of Hunting for Profit was educated over the internet and whilst some members grasped the fundamentals well, managed to implement our approach correctly and make profit, it soon came to my attention that some members would benefit with attending a course to really explain in finer detail all the key components to a trade and how to execute correctly. I now run courses in Doncaster in the UK and an after course online academy. Trading can be a lonely place especially when you are having a tough time on your journey, the academy is not only a place where you can further your education but also a place where you can get support during the tough times. If you are serious about using a professional approach to the in play markets, then please check out the education links to the service and drop me an email if you have any questions.